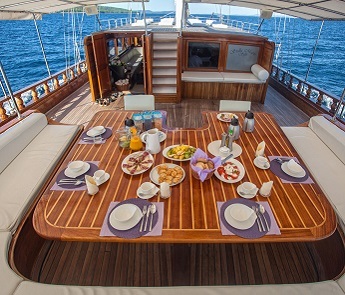 Croatian gulet cruise can be perfect for middle-age groups traveling without children because they can relax to full extent, enjoy the good food and wine, and leave the gulet every day to go sightseeing, take longer land trips, explore interesting places and cities, meet new people etc. You can have a cruise that is both dynamic and relaxing, exciting and joyful. The best route for you would be a combination of nice towns, beautiful beaches, picturesque bays, and astounding islands. Your gulet does not have to be huge, but it is very important that it is clean and the crew is professional and can fully deliver its service according to your expectations. If your group consist of couples, it is a good idea to avoid gulets with separate twin bed cabins. Food and drinks are a very important part of your cruise. You can note your food preferences in advance. We recommend you to book half board (breakfast and lunch) arrangement only and go ashore in the evening for dinner. This way you will be able to try a larger variety of local cuisine, but you should still try dining on board the gulet under the stars in some secluded bay. It is an amazing experience. Gulets are perfect for relaxation and sunbathing. You can visit a couple of beautiful secluded bays every day, get away from the crowds and enjoy the amazing spots. Water sports like water skiing, canoe etc. 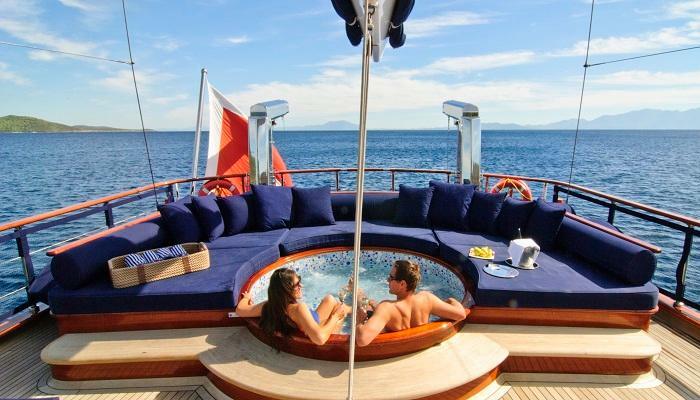 are a nice addition to the gulet cruise experience. Cruising with a gulet you will have the flexibility to take longer trips ashore, explore Mediterranean cities and try their local cuisine, do some sightseeing or shopping, go biking, and enjoy nature. Variety is very important. Experience is everything. This itinerary idea is a perfect combination of tasty food, good wine and cold beer, comfortable accommodation, and beautiful places to visit and explore. This cruise offers many possibilities and can be tailored to your wishes and needs. Flexibility is one of the best sides of a gulet cruise holiday because you have lots of opportunities for extra activities, trips, hiking, and sightseeing, and most of all relax and recharge your batteries away from the crowds. 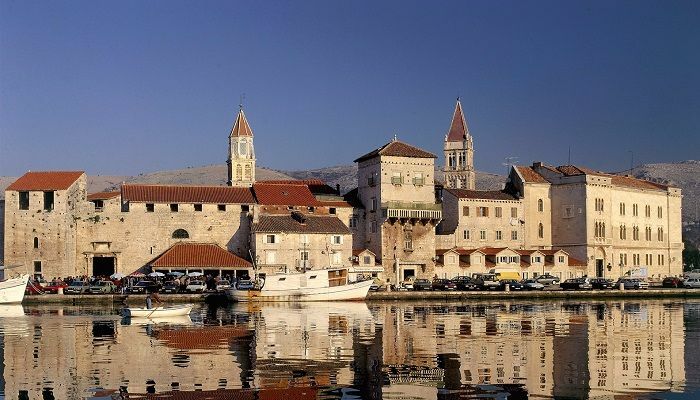 You can start in the coastal town of Trogir, a small historic city with 2300 years of continuous urban tradition that was inscribed on the list of UNESCO World Heritage. The town is in a close proximity to the airport and is a perfect spot to start your cruise. Since Trogir has a high number of palaces, churches, and towers you have a lot of options for sightseeing and exploring the city. If your group prefers more secluded places you can just embark on the cruise and leave the coast behind. The first stop can be the nearby island of Šolta. It is not a widely known tourist destination, for it has no famous medieval churches, fancy restaurants or souvenir shops. Šolta is the island of olives, honey, and wine. It remains to be unspoiled by mass tourism. The island is calm, easy going and one of the greenest places in Croatia. You will be able to completely relax after your long trip to Croatia and satisfy your taste buds with treasures of the local cuisine. The next stop is the famous island of Hvar which was rated as one of the top 10 most beautiful islands in the world. On Hvar, you have lots of different options for sightseeing, wine tasting, and hiking. 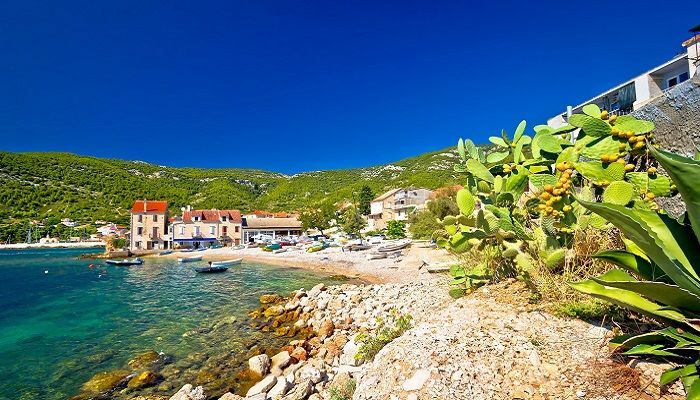 The island’s main city also called Hvar is a beautiful Dalmatian town that guarantees a great time in bars, coffee shops, and numerous excellent restaurants specialized in local cuisine as well as in exotic specialties. Hvar has a rich nightlife and during the evenings it turns into a party place, so if you desire a more quiet night sleep we recommend you to stay in a nearby town of Stari Grad. If you want to try some of the amazing local wines, you have to take a trip to St. Nedelja on the southern part of the island. From Stari Grad, you can cruise to the Pakleni islands, the most unique and recognizable natural beauty of Hvar. Pakleni Islands is a small archipelago in front of the bay of the Hvar town. You can cruise to some beautiful secluded bays, stay on the anchor and enjoy the crystal clear Adriatic sea. 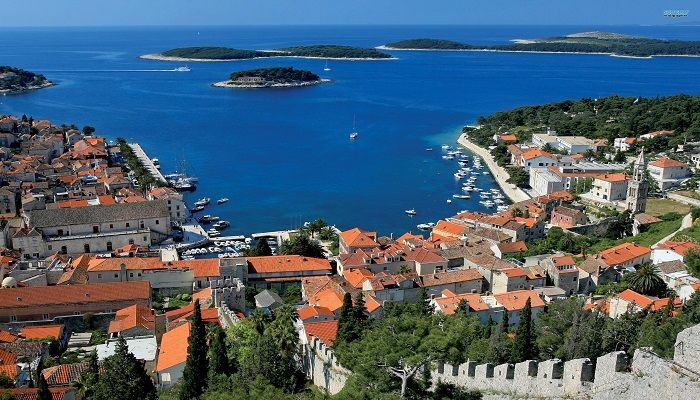 From Hvar, you can continue your cruise to the island of Vis, the furthest island of the central Dalmatian archipelago. It is equally known for its special cultural and historic heritage as for its natural beauties. 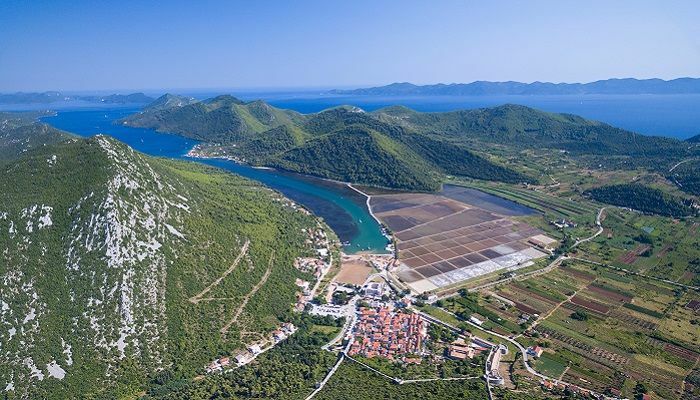 Like Hvar, Vis offers a lot of options for wine tasting and land trips. The island has an autochthonous wine named Vugava which you can try in numerous restaurants and wine cellars around Vis. 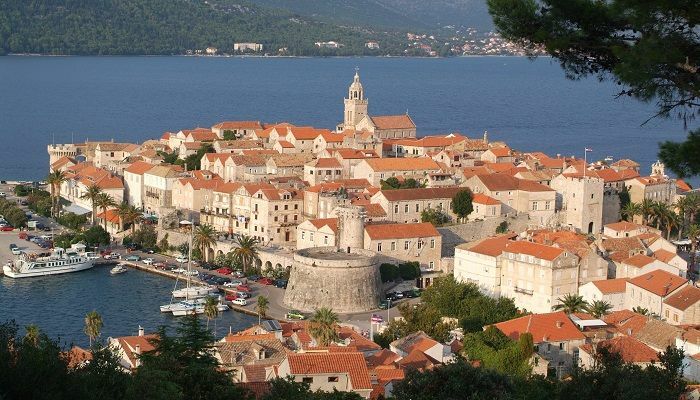 Two fascinating ancient towns of the island are picturesque ports Vis and Komiža. From Komiža you can take a daily trip to the nearby island of Biševo to see the astounding natural treasure, the Blue Cave. On the way to the famous island of Korčula, you can stop by Pelješac peninsula, the second largest peninsula in Croatia. Peješac is a great place to stay on the anchor for relaxing and swimming. 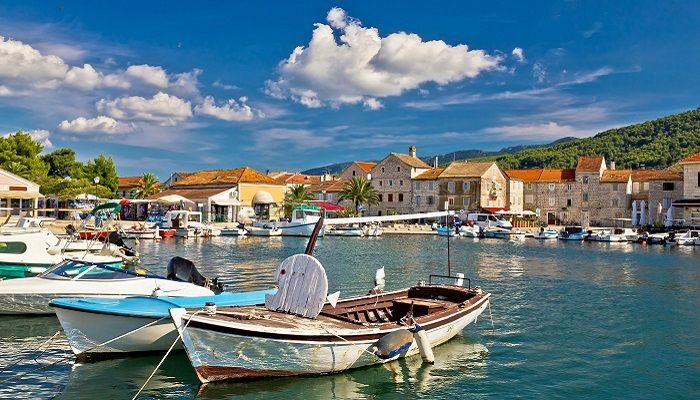 One of the highlights of Pelješac is the town of Lovište, a small port situated in one of the most beautiful bays. The calm nature of the town is perfect if you seek for a quiet place to spend your holidays. The climate in Lovište is ideal for Bath tourism. In the vicinity, there are numerous coves with small and nice pebble beaches. From Pelješac you can cruise to the nearby island of Korčula and its renowned historic city of Korčula, also known as “Little Dubrovnik” and home to famous explorer Marco Polo. You can stay on anchor in a quiet bay and visit the Korčula town with a dinghy. The city has a long history, but the most prominent mark was left by Venetians, especially in the picturesque architecture. This beautiful Dalmatian pearl has a rich cultural heritage and offers museums and historic sites, restaurants, bars, wine cellars, and amazing places to swim. 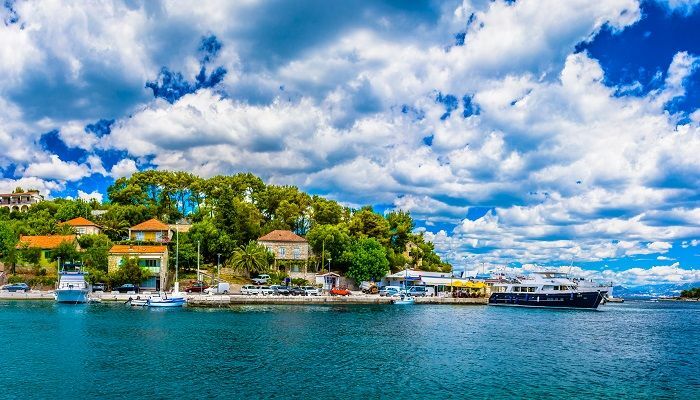 Next stop is the island of Mljet, one of the most beautiful islands of the Dalmatian coast. It is a great place to stay on the anchor to relax, swim, sunbathe and most of all enjoy the nature. 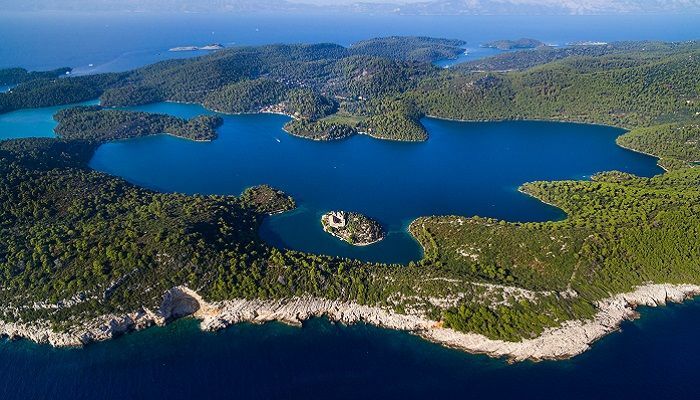 You can visit the National Park Mljet that covers the entire northwest part of the island. This nature park is famous for the two salt lakes and offers you many possibilities for strolling around the shaded paths, swimming, and exploring the park with bicycle or kayak. Your cruise can end in Dubrovnik, a stunningly intact medieval walled city on the Adriatic coast and the jewel of Dalmatia. Even if you would like to avoid big tourist crowds, you should definitely experience Dubrovnik. With its architecture, atmosphere, and astounding city walls it is one of the most amazing towns in the world. 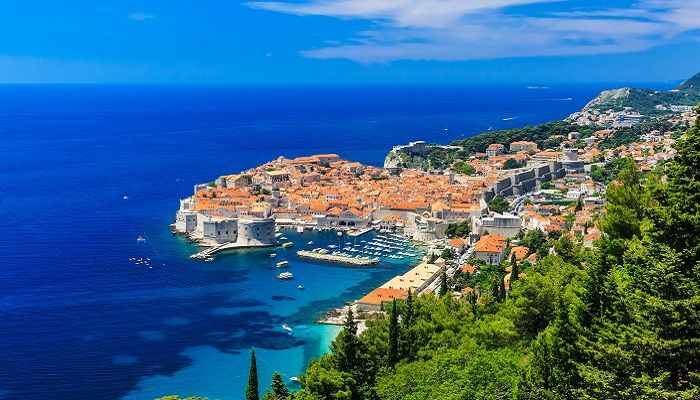 If you end your cruise in Dubrovnik, it is recommended to book a hotel or some other type of accommodation for an extra night or two and take some time to get to know the city. There are countless sights and monuments to see in the town. You can have a drink on the main thoroughfare of the old town Stradun, visit the fortress Lovrjenac or bath on the city beaches or nearby Lokrum island. And no visit to Dubrovnik would be complete without a walk around the spectacular city walls. From the top, the view over the old town and the shimmering Adriatic is a sublime experience.